This was the first test for my new baking form. Separate yolks from whites. 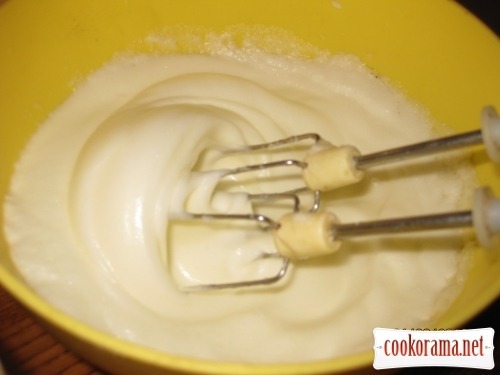 Mix whites into foam. Stirring, add two portions of sugar, mix well. Then add one by one yolks. 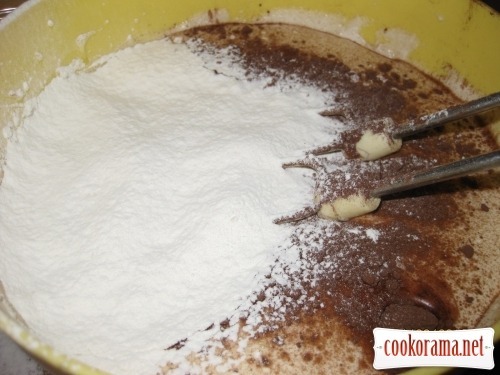 Carefully add baking powder, cocoa and sifted flour, mix well, you can use mixer. Then pour batter in greased with butter form and bake till readiness. 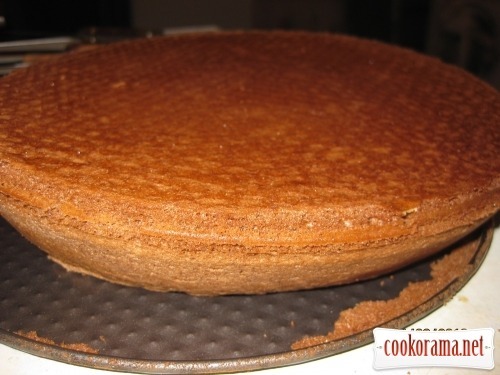 You`ll get such flat cake. Cool it, cut in two. Prepare cream-filling. 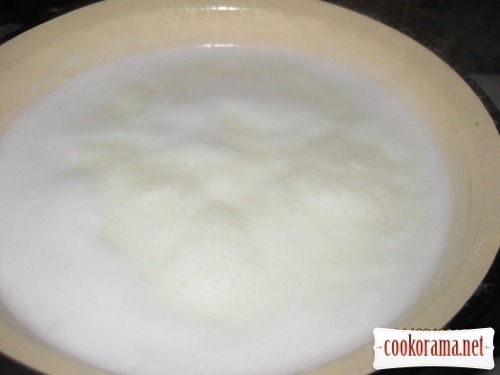 In boiling milk add sugar and coconut. Boil till thickening, stirring from time to time. 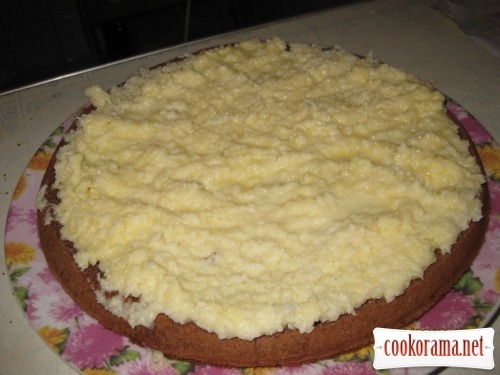 Remove from heat and add diced butter, mix and we get cream-filling! 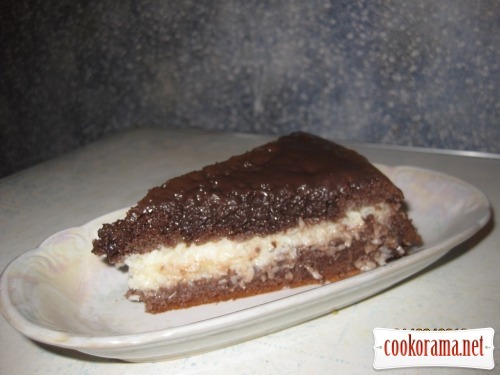 Spread cream on lower flat cake, cover with upper cake. 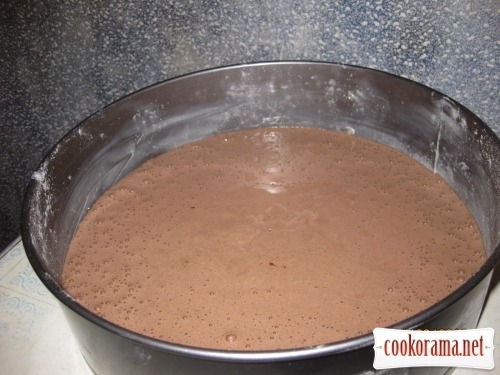 Put all the ingredients for glaze in bowl, cook on a medium heat till thickening and to get liquid- viscous mass. 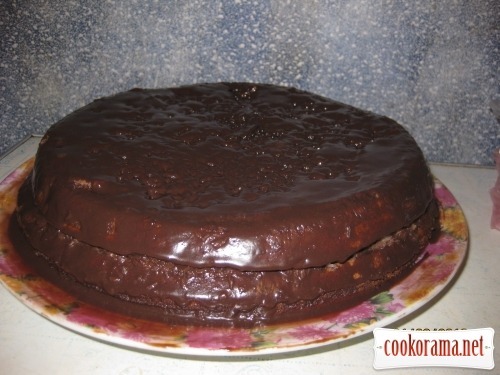 Remove from heat – pour our cake. There is also such a variant. 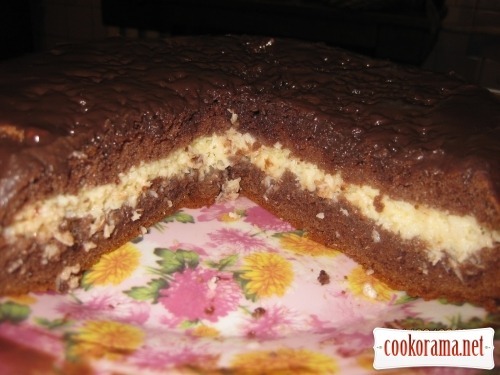 Bake shorter cake and pour with cream. Put in the fridge for 2 hours, and cover with glaze. 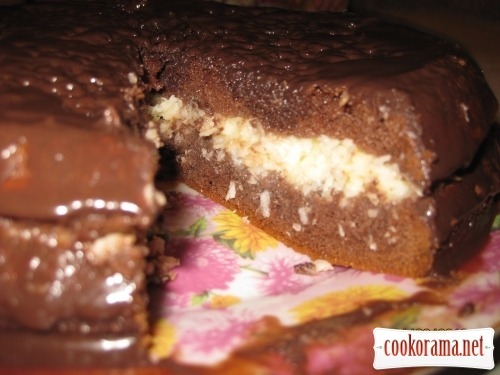 Top of recipe "Cake "Bounty""